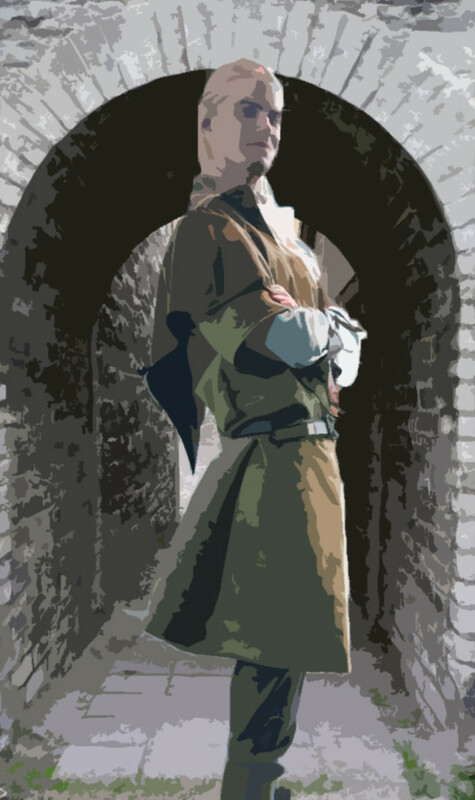 This is a rewrite of my old "Legolas of Mirkwood: Prince Among Equals" article, an in-depth biography and character analysis of Legolas in J.R.R. Tolkien's The Lord of the Rings. If you're looking for Legolas' age, skim down to the How Old Is Legolas? section. Otherwise, pull up a chair! This page will tell you all there is to know about Legolas Greenleaf. Glorfindel and other Elves of great renown attended the Council of Elrond, yet of all the Elves left in Middle-Earth, Legolas Greenleaf is appointed by Elrond to represent their race in the Fellowship of the Ring. Who is Legolas, and what is his history? If he is from a noble family, then why does he identify himself not by his lineage, but by his friends? Why, in a list of all the Elves who came to the Council of Elrond, does Tolkien call him "strange"? There may be something unusual about him that has nothing to do with blue contact lenses. Maybe so, but tracking a stealthy elf's footprints is going to take some skilled woodcraft! Our first glimpse of Legolas is in Rivendell, where he has been sent as a messenger to report to Gandalf about Gollum's escape. It is only at the Council that he learns the full significance of this event. Evidently Gandalf had not risked telling him (or his father) the secret of Gollum's Ring. Legolas gives a lengthy account of Gollum's imprisonment, his tricks and habits during captivity, the raid by orcs, and the Elves' attempts to track the escapee. While Legolas might be referring to his people collectively as "we," his report contains firsthand details that suggest he himself was not only one of Gollum's trackers after the battle, but also one of his jailors. 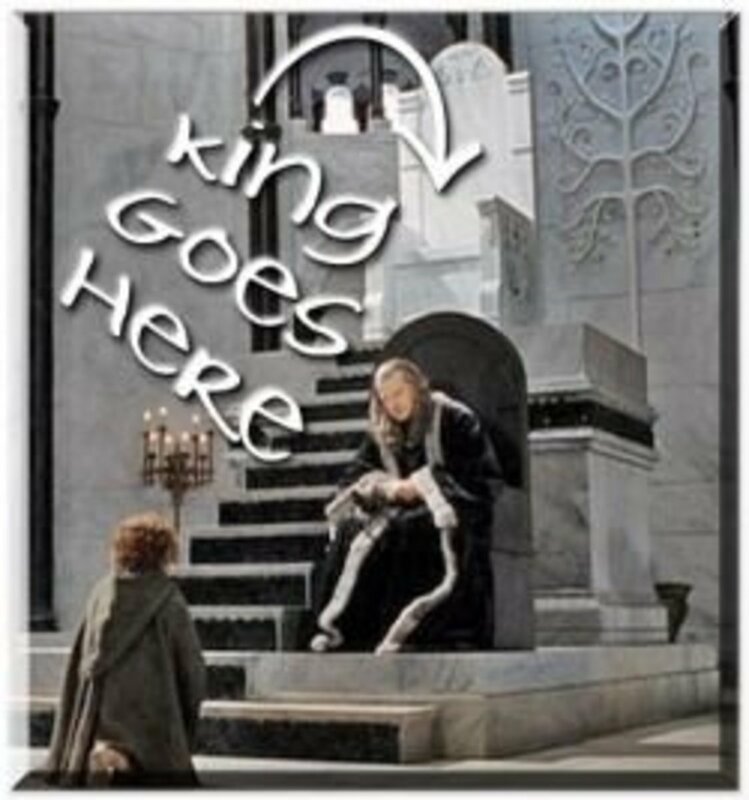 It's easy to understand why an assault on the king's realm would warrant the son's attention, but why was he on prisoner duty, if Gandalf had not told the king why Gollum was so important? Legolas' duty in the Fellowship is chief lookout, a role in which even the best of the Rangers cannot surpass him; Aragorn relies on his eyes for the hunt across Rohan. Then and on many other occasions, Legolas demonstrates the uncanny sight, hearing, and nimbleness of his race. At LÃ³rien's eaves, Legolas briefly becomes the Fellowship's guide, but otherwise he remains largely in the background following orders and assisting his comrades, serving as backup not leader. Perhaps Legolas is only being cautious; Elves are very careful not to betray one another's secrets (although Legolas may not have known the source of that "secret power"; even among Elves the Three were a tightly-kept secret). But he sounds as if he is not even sure whether Galadriel and Celeborn are there -- if indeed he knows of them; he speaks only of Lórien's last king, Amroth. The thought of seeking aid from the Galadhrim does not seem to cross his mind. Instead, he seeks information, shelter and healing from trees and streams, as he elsewhere seeks clues from birds and the very rocks. Nor does Legolas present himself as a warrior. While Gimli wears ringmail and carries a battle-axe, Legolas wears no armor and carries only a bow and knife. This is hunter's gear. Elven kings, princes, and warriors of old had spears, swords, even axes. 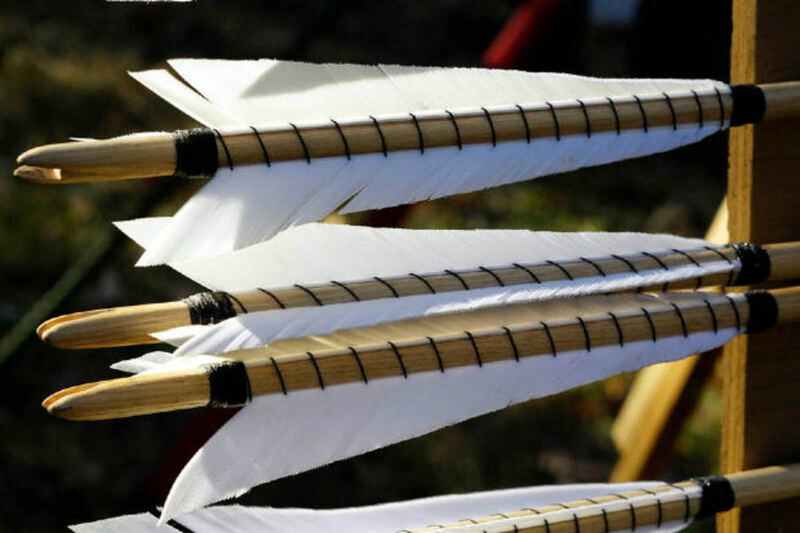 There were a couple of famous bowmen of the Sindar (see below) who went to war in the First Age, but they were the exception rather than the rule. And like Legolas, their primary goal was defending home and friends, rather than waging an aggressive campaign against the enemy as the Noldor did (cf: the sons of Elrond, who seem to have picked up their High-elven ancestors' obsession with revenge). In every way, Legolas is a scout, a hunter, a woodland elf, with deep personal connections to the natural world, but disinclined towards the lore, warcraft, history and problems of the nobles and leaders of his race. Apart from the first mention of him at the Council, Legolas is never referred to or treated as a king's son. Indeed, Celeborn is the only person who even calls him "son of Thranduil." No one else seems aware of his family or status. Aragorn introduces him to Éomer as, "Legolas from the Woodland Realm in distant Mirkwood." Gandalf declares him "Legolas the Elf" to the door-warden of Edoras, where the wizard takes pains to reveal Aragorn's identity in order to impress Théoden. Gimli himself refers to Legolas' father as "your King," as if he isn't aware that his best friend is more than a subject! Small wonder, though, since Legolas never mentions it. When Prince Imrahil marvels to see one of the "fair folk" in Gondor, Legolas merely names himself as one of the Nine Companions, identifying himself by his friends rather than by his blood. He never calls himself a king's son or Thranduil's heir, and in fact, his words do a good job of concealing his lineage. At the Fields of Cormallen, Legolas states he will bring Elves to Ithilien "if my Elven-lord allows." Not all sons of Elf-lords are so circumspect about mentioning their parents; Elrohir brought a message "from my father" to Aragorn. Perhaps Legolas is a younger son, although we never hear of brothers? Perhaps it has something to do with the unusual politics of Mirkwood (see below)? Perhaps as a member of an immortal race, an Elf doesn't want or expect to inherit his father's kingdom? Perhaps the divisions between leaders and subjects are not particularly important to Elves, or at least to him? It seems likely, at any rate, that if Legolas were to meet his modern-day fans, he would be quite baffled to hear himself called "Prince of Mirkwood", the more so since the term "prince" normally shows up in Tolkien's stories only as a title for some noble lord who rules over a small domain. To understand who Legolas is, you need to know his family history. This means getting to know the different races of Elves in Middle-Earth, and why they ended up where they did. Don't worry about remembering details; this is just to help you see how Legolas' outlook and habits are partly a product of his family's past. By the time of The Lord of the Rings, the great Sindar and Noldor kingdoms of ancient Beleriand, which had been a continent-sized extension of Middle-Earth to the west, are only a memory. After Beleriand sank, they relocated to Lindon, where the Grey Havens are, and midway through the Second Age founded Rivendell. 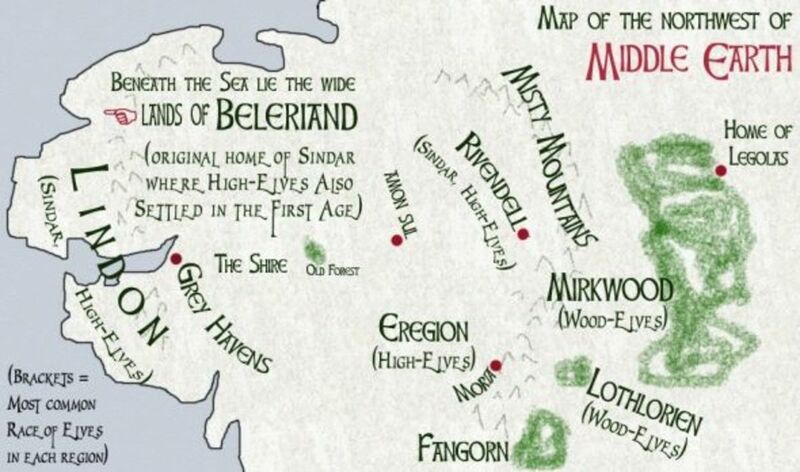 Some few moved east to Lórien and (only Sindar) to Mirkwood. Before these refugees arrived, the Elves east of the Misty Mountains were all "Silvan" or Wood-elves, a primitive and rustic race. 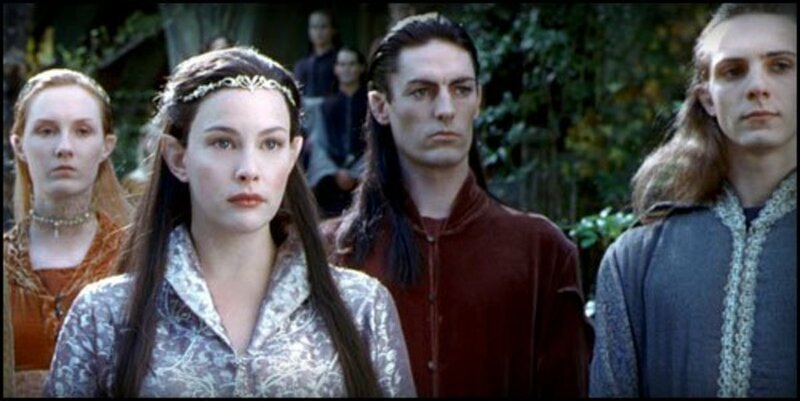 Legolas' family were Sindar refugees from Beleriand; specifically, from the Sindarin forest kingdom of Doriath, home of the famous elf-maid Lúthien who married a mortal man. Legolas' grandfather (and father? ), remembering Doriath, eventually settled among the Wood-Elves east of the Misty Mountains, founding a forest realm inspired by the one they had lost. The Wood-elves were a rustic and unlearned group of Elves who had never crossed the Misty Mountains and had little knowledge of the great kingdoms and wars of Beleriand during the First Age. They lived in the forests and the wild, and were most known for their singing; they did not even posess the art of writing. They had no cities nor much in the way of technology, and seldom bothered about the troubles of the world. Metaphorically speaking, the Wood-elves were the "country hicks." The High-elves and Sindar were the nobility. He is a singer of songs, undaunted and usually cheerful (although not immune to emotional outbursts and distress, as seen at the Council of Elrond and when the Balrog appears). His "I go to find the Sun!" joke on Caradhras is an excellent summary of his lighthearted character and personality. The ghosts of Men in the Haunted Mountain of Dunharrow hold no fear for him. Nor does battle dismay him in the least; he makes a playful game of it with Gimli at Helm's Deep. M. Martinez argues in his excellent "Speaking of Legolas" article that no other Elves we've met would play such a game, and that Legolas' sudden impulse to ride into the Huorn-forest to get a closer look at the strange trees (The Road to Isengard, TTT) is typical of his innocent curiosity, a child of the forest untempered by worldly knowledge and caution. So Why IS Legolas a Wood-Elf? As explained above, Legolas' family is Sindar, survivors from the forest kingdom of Doriath that was destroyed in a bloody feud with the High-Elves near the end of the First Age. Legolas' grandfather moved east and established a kingdom among the Wood-elves, initially settling in southern Mirkwood. He was on friendly terms with his close neighbor Amdir, the first King of Lórien, who followed the a similar path. Tolkien's postumously-published writings reveal a startling political divide between Lórien and Mirkwood, almost as great as that between Elves and Dwarves. Galadriel was an exile of the High-Elves, but had settled in Doriath where she married Celeborn, a kinsman of the king. In the Second Age they moved to Eregion for a while and visited Lórien often, when it was ruled by King Amdir. While the Silvan folk of Lórien welcomed Galadriel and Celeborn, Oropher and his people did not. Apparently, Oropher was disillusioned by the devastating wars against Morgoth and his lieutenant Sauron, and even more traumatized by the feud between the High-Elves and Sindar that resulted in Doriath's destruction. So he wanted as little as possible to do with anyone who had been a part of those years -- even though Galadriel had always been a good friend to her husband's people and a loyal subject of the King and Queen of Doriath. Apparently Legolas was not raised with any particular family prejudice against Galadriel and Celeborn; he simply does not know much about them, probably because his family had isolated itself so much. He considers himself a Wood-Elf, not Sindar, because that's how he was raised. What Language Does Legolas Speak? Wait! Back up a moment! What did Tolkien say back there about Legolas' family? "They were soon merged with the Silvan Elves, adopting their language..." Does that mean Legolas was born speaking Silvan Elvish, and only learned Sindarin (which had become the universal spoken language for the Elves) later? Yrch is Sindarin for "orcs." The Silvan word is spelled yrc. So while Legolas speaks with a Silvan accent, I think his birth-tongue is Sindarin. Evidently the House of Thranduil had adopted some Silvan words or styles of phrasing, but to say they had completely "adopted their language" as their native tongue would be an exaggeration. 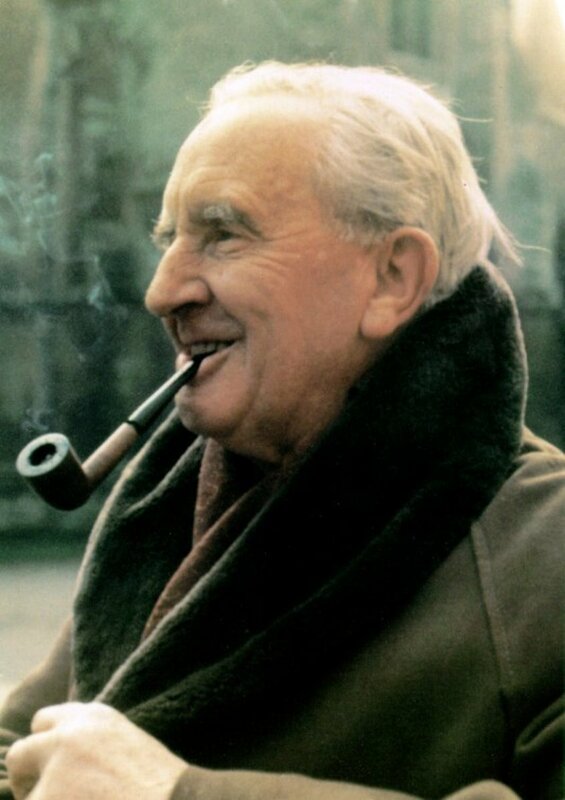 Keep in mind that quotes from Unfinished Tales are bits and pieces Tolkien had not expected to be published; he hadn't reviewed and revised them for consistency. In short, Silvan used to be spoken in Mirkwood and Lórien, but by the time of The Return of the King, all that's left of is a thick regional accent. Frodo can't understand the Sindarin spoken by some of Haldir's scouts because of this accent. The question is whether Legolas is old enough to remember Silvan. Tolkien never answers this question. That hasn't stopped fans -- including me! -- from guessing. The first of these two quotes again has the generalizing "we" problem; is Legolas simply speaking as a member of a long-lived race which is used to seeing time in this fashion, or is he speaking from personal experience? If the latter, he can't be younger than five hundred years old. On the other hand, the second quote may imply that he felt young before he started traveling with the Fellowship, making him old by human standards (500+) but young compared to other Elves. FergoBaggins of the Council of Elrond forum shrewdly pointed out that this figure matches the year in which Aragorn was born. But in the writings of Tolkien himself, we've found no explicit references to Legolas' age or personal history prior to the War of the Ring. To answer this question more fully, we must turn to Legolas' recollections and his family history. This approach is problematic, since we can't tell when he's speaking about incidents that happened far away while he was alive, or when he's speaking about events he only knows through the songs and legends of his people. Legolas' family passed over the Misty Mountains to join the Silvan elves "before the building of Barad-dûr" (Tale of Years, Appendix B, ROTK) which was begun in S.A. 1000 and finished in S.A. 1600. Eregion (Hollin) was founded S.A. 750. So depending on whether "the building of Barad-dûr" refers to the start of construction or its completion, it is possible that Oropher left before Eregion was founded. If so, anyone who had gone with him would know little of Eregion, and Legolas' ignorance of Eregion might be explained that way. However, had Legolas been dwelling with his grandfather prior to his removal across the Misty Mountains, he would have been in the mixed Noldor/Sindar settlement in Lindon. In that case, why would he consider the High-Elves (Noldor) a "strange race," if he had once lived among them? Also, he's drawing a distinction between the "strange" Elves of Eregion and we of the silvan folk. My guess is that means he was born after Oropher moved to Mirkwood. He certainly never mentions that migration, and his consistent attiude that he is a Wood-elf seems to postdate it. So I think we can be fairly certain that Legolas was born after his noble family settled among the Wood-elves and "went native", sometime in the early part of the Second Age. In other words, he almost has to be less than 6400 years old. Can we narrow it down more than that? Our next milestone is Oropher's move from the vicinity of Lórien to the northern half of Mirkwood. What does Legolas know about this migration? It sounds as if Legolas was not alive when his folk still "journeyed hither back to the land whence we came," but it's hard to tell. The fact that Legolas never shows any suspicion or hostility towards Galadriel and Celeborn suggests that he was born after the doubts and resentments that led his family to move north in the middle of the Second Age had died down, or at least, they had stopped talking about it. That pushes Legolas' birthdate up to the latter part of the Second Age at the earliest. Now we get to a sticky problem. Legolas' home is the main "strong place of stone...delved in the ground like Dwarves" among all the Silvan folk; we don't see any such place in Lórien. So he has to have his father's hall in mind. But the event that he says inspired its construction is a thousand years too late. EIther Legolas was born long after the deaths of Amroth and Nimrodel, by which time the Balrog was blamed even for things that had nothing to do with it -- or this is just a case where Tolkien's private jottings don't synch up perfectly with the published books. There's no way to know. However, his use of the past tense makes it sound like he's retelling legends of things that happened before he was born -- maybe. If that's so, he cannot be older than about a thousand years. Another clue is the fact that Legolas seems never have visited Lothlórien before. If he were older than two thousand, he'd predate Dol Guldur, and would have spent time with his familiy living in south Mirkwood on the opposite side of the river from Lórien. If so, you would think he'd have visited his closest kin and neighbors at least once, to deliver messages or pay his respects to King Amroth, an old family friend! After all, Legolas left Mirkwood with (he thought) a distressing but minor matter: the escape of a prisoner whose importance was not understood. I simply cannot believe he would never have visited Lórien before it became dangerous to go that way. So I'm putting his birth after the establishment of Dol Guldur, and feel pretty confident that it's necessary to do so. That pushes his birthdate past T.A. 1000, almost certainly less than two thousand years old: younger than any other elf named in the story, even Arwen. As Young as Seven Hundred, Perhaps? Are there any more clues that can help us narrow down Legolas' age? Well, we have Tolkien's habit of making parallel generations in closely-allied families: Tuor and Huor, Túrin and Húrin for example. The pattern here is less obvious, but King Amdir of Lórien and King Oropher of Mirkwood are both Sindarin princes of Silvan Elves who moved east at the same time, died in the same war, and were succeeded by sons of the same age. If Amroth and Nimrodel had not died during the mess following the Dwarves' discovery of a Balrog in Moria, their children would have been born less than a thousand years before ROTK, and Legolas would be the same generation. So there's a fourth clue pointing in the same general direction, albeit a fairly flimsy one. I also can't help but wonder about Bilbo's mithril coat, made for a half-grown elven prince. The dwarves who settled the Lonely Mountain were fleeing Moria after the Balrog disaster. There was only one Elf-king left in Middle-Earth by that time. 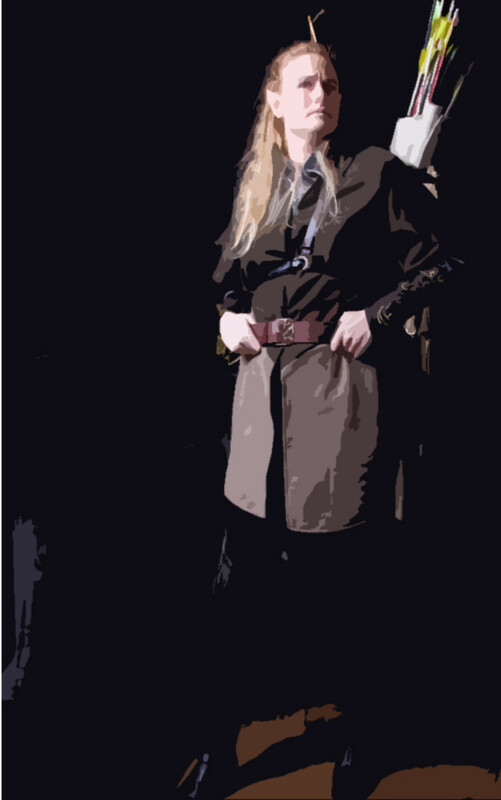 For whom was the coat made? Unless Legolas has siblings we never hear about (which is of course possible), then that was supposed to be his! So there's a fifth clue, albeit a rather forced one, since I don't think Tolkien had come up with the character of Legolas son of the Elvenking when he was writing The Hobbit. However, that does fit the fact that Legolas' recounting of the story of Amroth and Nimrodel makes it sound like they had been glamorized into legend before he was born. That makes him less than eight or nine hundred years old. Say seven hundred, since he elsewhere seems to imply he's seen five hundred years. He would certainly be old compared to the rest of the Fellowship, but as an Elf he's still in his "tweens", as the Hobbits would say, or in human terms, he's a young man just coming into the prime of his life. After sifting through all of this, I discovered that Michael Martinez, the author of Visualizing Middle Earth, had concluded that Legolas was not much past five hundred years old. See his "Speaking of Legolas" article; he follows an entirely different line of reasoning. 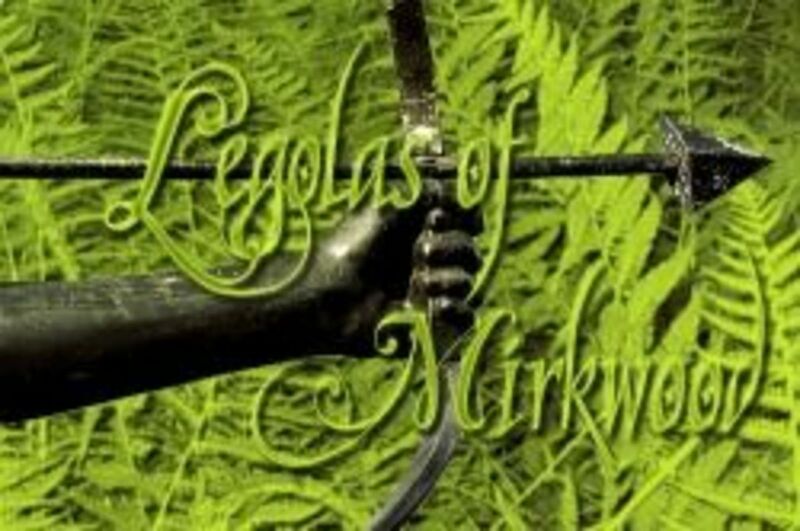 There is one major event in the history of Mirkwood which Legolas apparently did not witness, but which again sheds light upon his heritage, and why he seems almost sheltered from the rest of the Elven world. Despite the desire of the Silvan Elves to meddle as little as might be in the affairs of the Noldor and Sindar, or of any other peoples, Dwarves, Men, or Orcs, Oropher had the wisdom to foresee that peace would not return unless Sauron was overcome. He therefore assembled a great army of his now numerous people, and joining with the lesser army of Malgalad of Lórien* he led the host of the Silvan Elves to battle. The Silvan Elves were hardy and valiant, but ill-equipped with armour or weapons in comparison with the Eldar of the West; also they were independent, and not disposed to place themselves under the supreme command of Gil-galad. Their losses were thus more grievous than they need have been, even in that terrible war. Malgalad and more than half his following perished in the great battle of the Dagorlad, being cut off from the main host and driven into the Dead Marshes. Oropher was slain in the first assault upon Mordor, rushing forward at the head of his most doughty warriors before Gil-galad had given the signal for the advance. Thranduil his son survived, but when the war ended and Sauron was slain (as it seemed) he led back home barely a third of the army that had marched to war. So those Elves in the Dead Marshes should not have been wearing metal armor, Mr. Jackson: they were Wood-Elves like Legolas! *You will note that the king of Lórien is here named Magalad. In Tolkien's unpublished notes and early drafts of The Lord of the Rings, we often find him trying out different names for the same character, sometimes revising the character's history dramatically in the process. In fact, at one point, Tolkien floated the that Amroth of Lórien was not the son of King Amdir/Malgalad, but of Galadriel and Celeborn's son, Celebrían's brother! There's even a hint of this in Treebeard's farewell to them in Return of the King, when he hails Celeborn and Galadriel (in Elvish) as the parents of beautiful children. Luckily, Tolkien is less prone to fiddle with Legolas' family -- he never says much, but what he says is fairly consistent. We begin to see why the Elvenking seems ill-tempered and reclusive, and yet is compassionate to those who have suffered great losses (the Lake-men), in The Hobbit. My guess is that Thranduil did not tell Legolas much about this terrible tragedy, for the son does not seem shadowed by dread as his father and grandfather were -- yet another reason to make Legolas a child of the Third Age, incidentally. But just think of the irony. At the end of Return of the King, Legolas lovingly follows Aragorn to the Gates of Mordor, the place where two-thirds of his people died, to the exact spot where his grandfather Oropher and his household perished in a reckless charge, and where Legolas' own father barely escaped alive. Legolas joins in another Last Alliance before Sauron's gates, knowing full well that none of them may live to see a new Age. Did Legolas realize he was following in his father's footsteps? I don't think so. But I wonder what was going through Elrond's mind when he appointed Legolas to the Fellowship, and how much he foresaw: as Gil-galad's herald, he surely had seen Oropher's fall. Enough about tragic irony: here's what fans really want to know. What does Tolkien have to say about Legolas' appearance? Sadly, not much. Tolkien can natter on for paragraphs about the layout of Helm's Deep, but he never even bothers to mention Legolas' hair color. I guess the book would have been a thousand pages longer if he had described every character! All Tolkien says in LOTR is that he is tall, fair and beautiful like all his race. Could Legolas have Wood-Elf blood? We don't know anything about his mother- nor Thranduil's, for that matter, although in Thranduil's case I think Tolkien truly meant for him to be Sindar, mourning and keenly mindful of old injuries to his people in Doriath from both Dwarf and High-Elves. We just don't know. Back to the hair. Wood-Elf or no, Legolas' father was blond, so any rule of thumb about Sindar being dark-haired or silver-haired has already been broken in his closest kin. 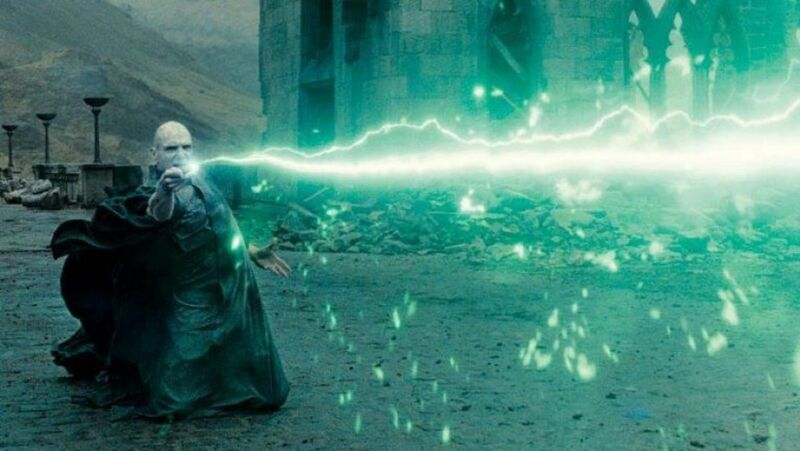 However, it was pitch-black at the time; Legolas could not even see what it was he shot, and his eyes are better than Frodo's. The darkness there has nothing to do with his hair. Perhaps "pretty" is the wrong adjective, but "fair of face beyond the measure of Men" is a typical description. Looks notwithstanding, Tolkien's point is that Legolas is a formidable fellow, not simply a pretty face. The Meaning of the Name "Legolas"
Legolas, like a few other Elves, gets an epithet or second name that's actually a translation of his first name: Thingol Greycloak, Arwen Evenstar (in this case a translation of Undómiel). There's a puzzle with Legolas' name, however. Laeg is not only extremely archaic, but the only other example we have for it is Laegel, "Green-elf". The Green-elves, a splinter branch of Silvan Elves, were a rural, backward people compared to the High-elves and Sindar. On top of this, they were considered cowards, since after an early massacre in the First Age they refused to join the wars or fight openly against the Enemy. Only to a member of Thranduil's family would they seem worthy of respect. It is a strange thing to name his son. Mirkwood's original name uses the later word for "green" : Emyn Galen. At the end of ROTK, Thranduil renames it Greenleaves. Does he use his son's name? No! He calls it Emyn Lasgalen. What's going on here? In spite of Tolkien's comment about the Sindar of Mirkwood adopting Silvan language, Legolas' name is the only example we know of where a Sindarin word has been "Silvanized." It's normally the other way around: Silvan elves adopt Sindarin (even in Mirkwood), and Silvan names are "Sindarinized" (Caras, Lórien). Mirkwood's various Elvish names are all purely Sindarin. Legolas' name is unique. I probably shouldn't push the "Green-Elf" idea as far as I did in the first version of this article, where I speculated that his mother might be Laegel, a Green-Elf! Nonetheless, I do think it probable that Legolas' name is more than a nod to Thranduil's adopted people, the Wood-Elves. I think Tolkien, fond of repeated patterns, meant for Thranduil son of Oropher to have married a Wood-Elf, just as Amroth son of Amdí­r of Lórien intended to do. Their families follow similar paths. And again, it would help explain why Legolas, descended from an "originally Sindarin line," so consistently calls himself Wood-Elf or Silvan. One thing is clear. Far from being a royal and noble prince, Legolas of the Nine Walkers is simply a formidable and loyal friend, who would rather be known for the company he keeps than for his noble father. That sort of loyalty is what they needed most for the Fellowship. And it is his loyalty to Gimli, not just the call of the Sea, that sends this "Wood-elf" on the last ship west to the Undying Lands. There he is to this day, presumably following the hunting-horn of OromÃ«. Thanks to: Sir J'ohn, my former co-moderator on Mystcommunity and patient consultant in matters of Tolkien lore, and to all the thoughtful members of the Council of Elrond site, who provided invaluable critique for an early draft of this article. In The Book of Lost Tales 2, there are several references to one "Legolas Greenleaf of the House of the Tree" who helped the refugees of Gondolin escape. There are two obvious reasons why this can't be the son of Thranduil. First, as noted above, Tolkien decided "Legolas" was a Silvanized spelling of a Sindarin name, and that makes no sense for a resident of Gondolin, whose Elves were Noldor. Second, in FOTR, Legolas tells the Fellowship that the elves of Eregion are a race that is strange to him. Those elves were Noldor, many of them refugees from Gondolin. Christopher Tolkien therefore identifies "Legolas Greenleaf of the House of the Tree" and "Legolas Greenleaf son of Thranduil" as two different people. Legolas of Gondolin only appears in Tolkien's very early writings, long before he began to write LOTR, when he was still calling Noldor "Gnomes". Tolkien's story, characters, and world evolved and changed significantly after that. Legolas' name is one of several that appear in Tolkien's earliest writings and are later recycled and given to someone entirely different. 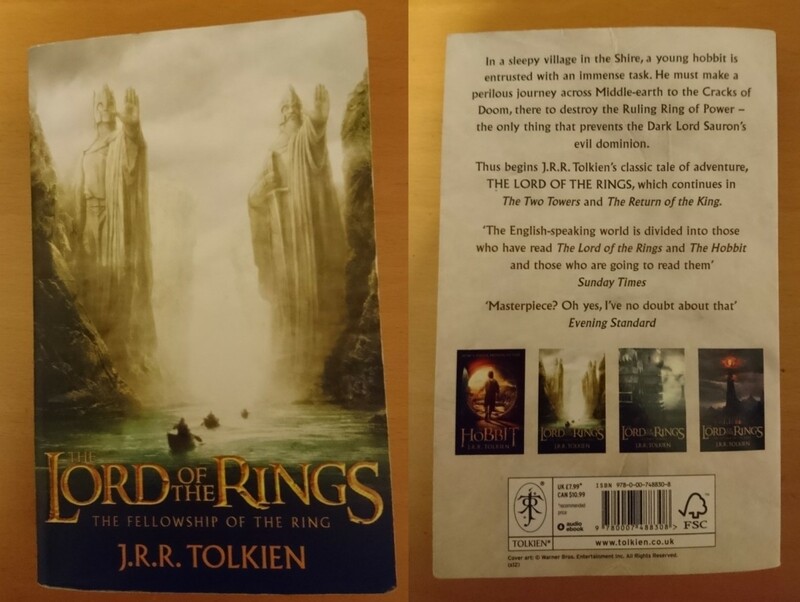 Do NOT trust "facts" printed in sourcebooks for the movies, which include many made-up details (such as Legolas' age) invented to flesh out their video games, merchandising, and collectible card game. Instead, read what Tolkien actually said. Obviously, this is where you learn the most about Legolas -- in the story! Less obviously, there are some obscure notes about his family history tucked away in Appendix B and F of Return of the King. Legolas does not appear in this story, because he hadn't yet been invented, but his father shows up several times in the later chapters. What do you think? I hope I've given you a deeper insight into a minor but appealling character in Tolkien's trilogy. 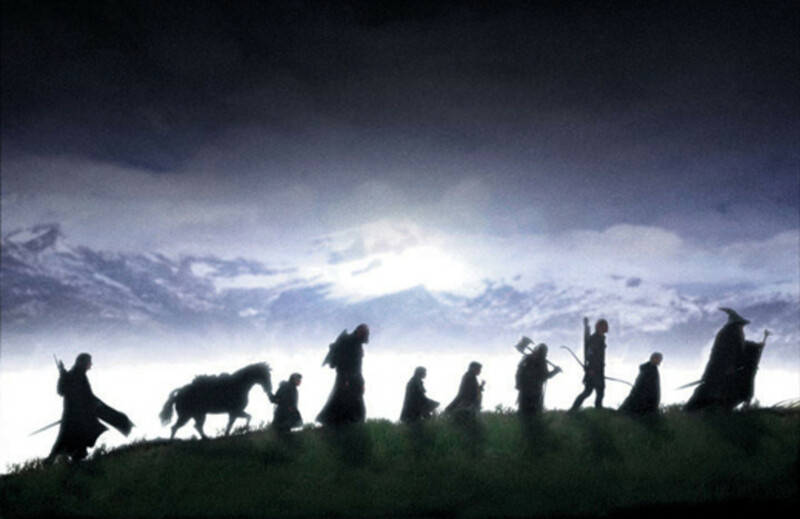 "The Fellowship of the Ring" Critique: Overrated? "It's easy to understand why an assault on the king's realm would warrant the son's attention, but why was he on prisoner duty, if Gandalf had not told the king why Gollum was so important?" Perhaps it's just because if Gandalf told Thranduil something, and there's a history of them as allies, Thranduil will trust him and assume it's important? What a rich study of Legolas! I have read part of it and will have to return to read the rest, but am enjoying it! I enjoyed the meticulous analysis about Legolas' age, which I've wondered about. What Celeborn said (Thranduil's son), could just mean that he's one of Thranduil's subjects, aka Mirkwood elf. Great page. Really makes me want to delve back into the Trilogy for a sixth reading. I was going to bring up the fact that Legolas's grandfather (and father?) came from Doriath, which would make them Sindar, or grey-elves, but you mentioned it after all. At any rate, it makes as much sense to me for Legolas to be a full-blooded Sindarin elf as it would for him to be half-Sindarin-half-Silvan. Either way, the Mirkwood elves became largely rustic and the royal family along with them (origins aside). Thus, Legolas's persistent association of himself with the wood-elves rather than with the grey- or high-elves, whom his grandfather and father seemed to want to get away from so much, makes a lot of sense. I think one of the 'problems' with Legolas is that he doesn't belong to a Silmarillion family! He is just the son of an Elven-king from "The Hobbit", and his father was a rather petty character with boorish subjects. The Lorien elves truly belong in the main tradition in Tolkien's legendarium, with links - though rewritten many times - back to the First Age. So when Legolas' royal ancestry is downplayed it's really just a subtle way for Tolkien to avoid the fact that the elves of eastern Mirkwood had no real place in the great underlying history that he thought he would eventually write. That was great, people of Middle-Earth often refer to themselves as their preferred manner. Lord Elrond does not call himself as the son of his human father but 'Half-Elven'. Keep up the good work!!! if im correct there is 1 more type of elves, called the Dark Elves which never left the east. 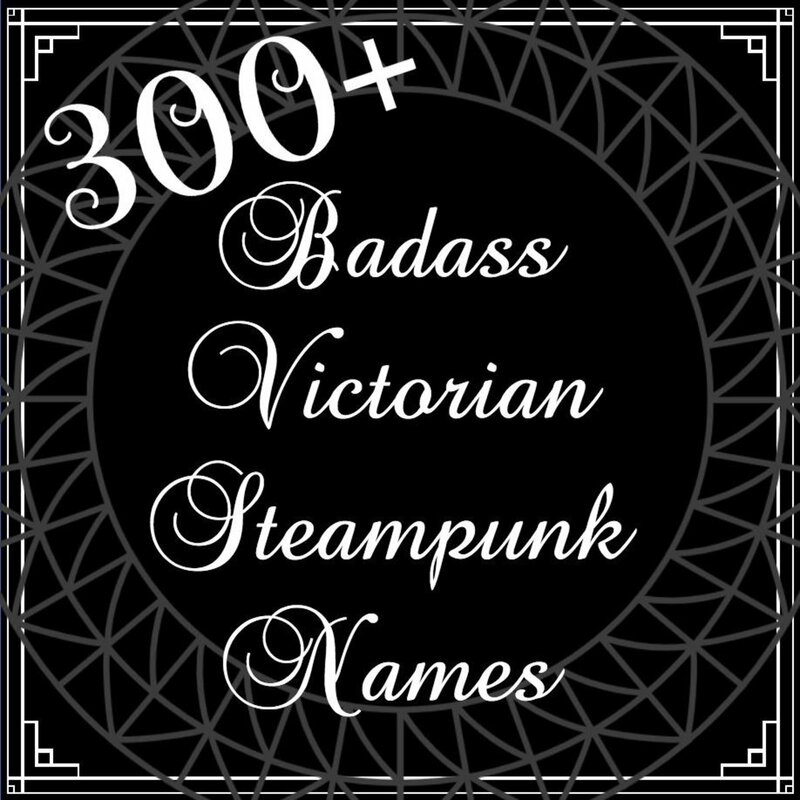 i also want to know more about them. Wonderful post about my favourite book.